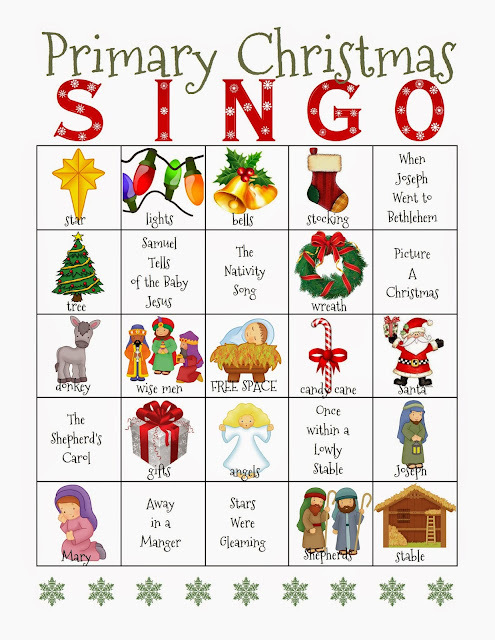 Last year I posted about a Primary Sing-A-Story Nativity HERE but wasn't able to do it. So I'm going to give it a try this year! And I was given the WHOLE time - wahoo!! One of the primary counselors said she has a large collection of Nativity costumes she will bring on Sunday. Has anyone done this and had success? How did it go? Leave a comment if so! I figure this week we will have a very sacred singing time focused on the birth of our Savior. Then for a change the following week, we'll be playing my Christmas Singo HERE which is another annual favorite in our primary (perfect for when I'm in holiday mode too)! If you want to check out all of my Christmas posts, find them HERE. I have been released from chorister but I just wanted to share that we did something similar with nativity costumes and it was one of my favorite singing times of the year! I brought costumes for all the kids and we all sat in a circle. I have a "nativity program" put together in folders. It is the scripture account of Christ's birth mixed with Christmas songs. All the words to the songs are in the folders. We went around the circle and took turns reading and sang the songs. The spirit was definitely there! Loved doing it!